Homeopathy remedies as works at immune level may help in this condition. According to totality symptoms well selected remedies can help to check the disease progression. 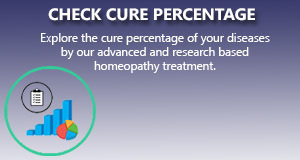 We apply the most scientific and research based homeopathy treatment that gives a long standing cure to the ailment.